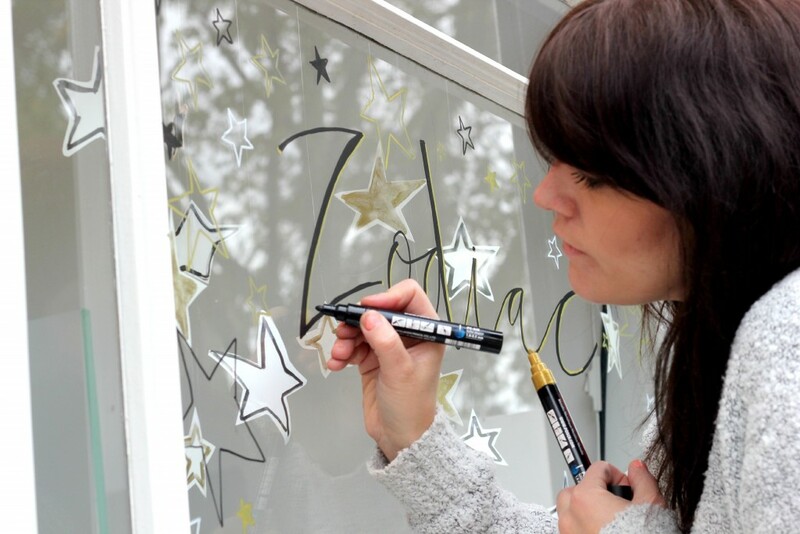 Meet Ella Masters, the talented illustrator who has transformed our Brick Lane store with her Zodiac exhibition and cosmic window display. How did you become an illustrator? 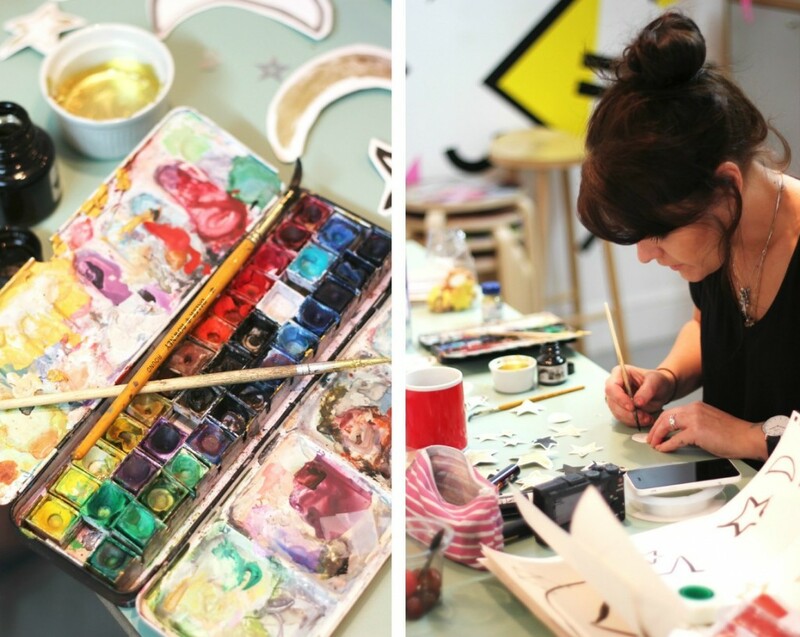 I studied a degree in Fine Art at Falmouth in 2007 and started a blog whilst at uni to share my artwork. 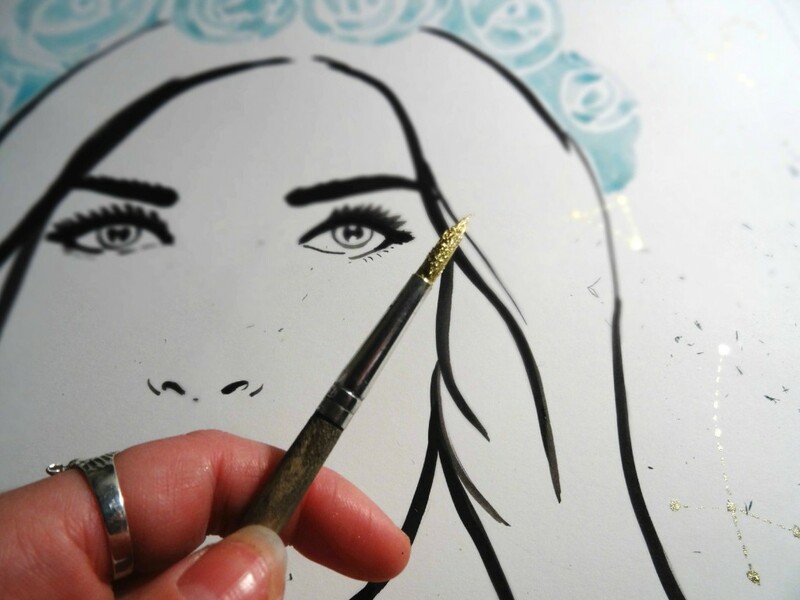 In 2014 I realised I had a good following, so it felt like a natural step to become a freelance illustrator. Stepping into full time illustrating was a scary leap, but I figured life’s too short so I should give it a go! 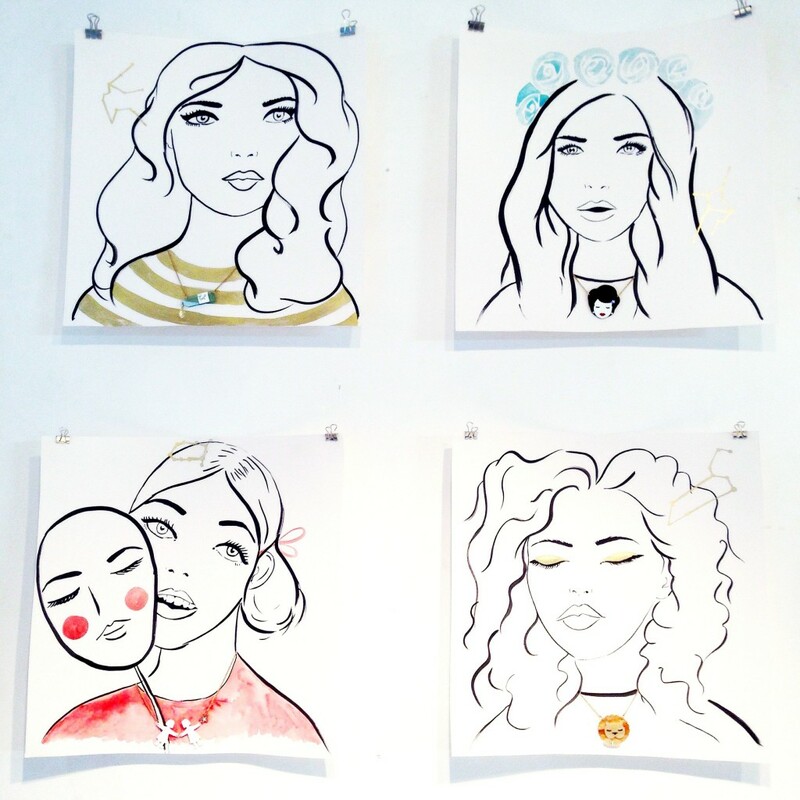 Tell us about the inspiration behind your Zodiac exhibition at our Brick Lane store… I wanted to create a simple fashion based series, pulling out colours from your Zodiac jewellery. 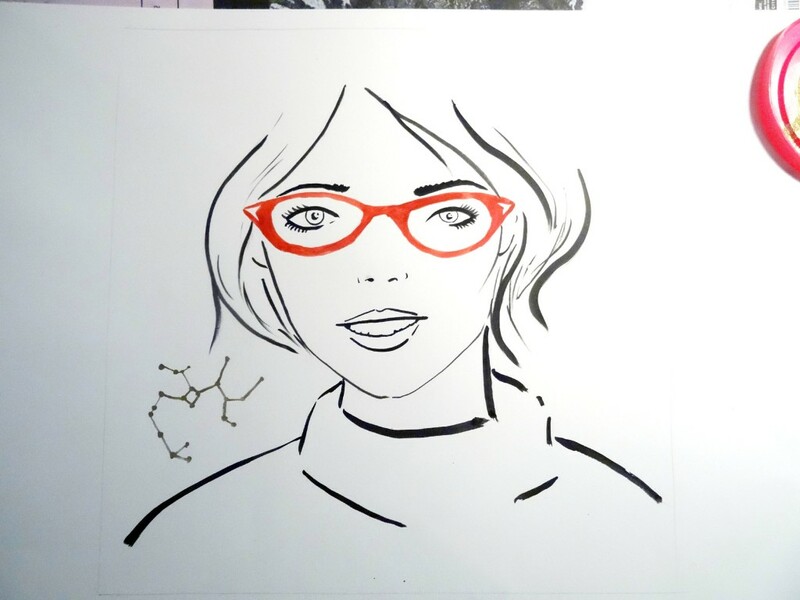 Each star sign was interpreted as a female illustration, wearing their zodiac necklace. Where do you find your inspiration? Inspiration for me can come from anywhere. I love a lot of female artists who are out there at the moment – Mel Stringer, Tuesday Bassem, Julia Potts. I also get a lot of inspiration from failed relationships, funny moments, tattooists. Online is a great place for inspiration, but one of my favourite things to do is to just go out into the world and draw, listen to people’s conversations and enjoy creating. What’s your advice for anyone wanting to go freelance? Be passionate, network and never stop learning. Find out all you can about your trade, have an unwavering belief in yourself, don’t compare yourself to others, read up about taxes and all the boring stuff. Start a blog – it’s free and the best thing I ever did! Your star sign is Virgo – are you typical of your star sign? I do match a few of the typical traits – I’m loyal, a perfectionist and pretty honest. They say Virgos have good memories and now that is something I am lacking in! 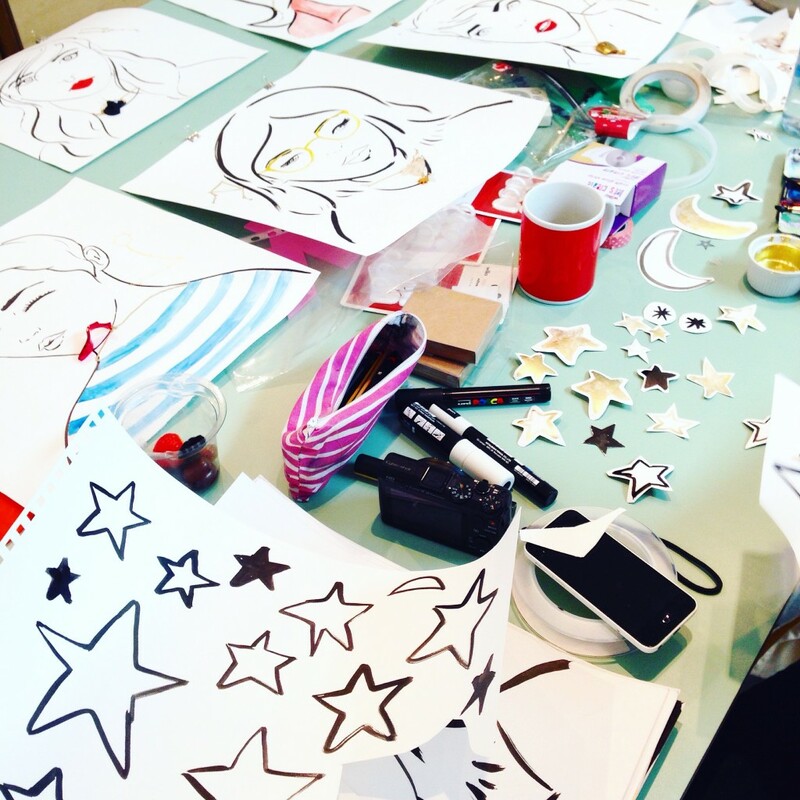 When did you first discover Tatty Devine? It was back in 2002 whilst reading the talent section of Elle Girl. The feature inspired me to create some fun jewellery and illustrations of my own based around your famous plectrum pieces. As a young teenager I hadn’t really seen pieces like this before so it was really inspiring to see Rosie and Harriet making a living in London from creating unique pieces of jewellery. Favourite Tatty Devine jewellery? I love the new Libra Birthday Necklace! I’m also a big fan of the 80’s inspired colour palette from your AW15 collection – the designs reminds me of images and patterns from my childhood. Describe your perfect day… Waking up early after a good night’s sleep, going for a nice breakfast with my boy and taking the time to sit and draw while he reads. I love wandering around Columbia Road Market buying flowers and drinking a good cup of tea whilst drawing buildings and people. Zodiac, an exhibition by Ella Masters is on until 17th November at our Brick Lane store.